London is well known for being a global center of business and finance, so it makes some sense that it’s also now home to a flourishing FinTech scene – with the likes of Level 39‘s dedicated FinTech accelerator space, and now, Techstars’ first graduating cohort from its Barclays Accelerator demo day in London. As with all the best-known programs nowadays, applications to join far outnumbered the spots available. More than 350 applicants from nearly 50 countries were eventually whittled down to 11 businesses, some of which didn’t exist more than three months ago and some of which have been in preparatory stages for years. While it’s not the ‘sexiest’ area of technology in some ways – the services are often business or employer-focused, rather than on the end-user – it’s an area that presents one of the biggest opportunities in both the size of the potential markets and the impact on people’s lives. With that in mind, we’ve pick our five favorites from the 11 hopefuls – it’s worth noting that some of the companies not included in this line-up really didn’t miss out by much. It’s always a tough job picking your ‘winners’, and no doubt, you might have picked your own differently. These are mine. As a thirty-something living in London in rented accommodation, Crowdestates‘ pitch is one that really resonated. In its most simple form, it wants to be a bit like ‘a Kickstarter for homes’, eventually. Wait! Don’t stop reading! Right now, it acts as a platform where people can crowdfund their home renovations, which is less interesting than its ultimate aim – to crowdfund deposits to buy a home and then ultimately, the entire mortgage. 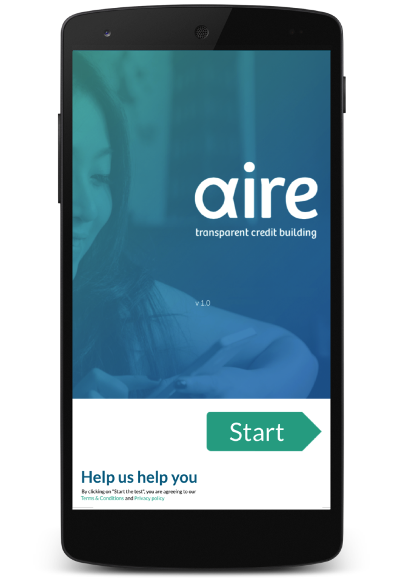 Beginning in London – where the average house price is now more than £500,000 – and the rest of the UK, it asks users to raise as much cash as they can under their own steam, and then invites donations from friends and family towards their project goal. If the friends and family route falls short, traditional lenders can then step in to make up the shortfall. For investors, its founder and CEO Gus Zogolovitch explained to TNW, the platform represents a better return on investment than traditional options – an average of 5.5 percent – and for its users, it allows them to raise cash at a lower cost than a traditional loan. The more cash is raised from friends and family, the lower the interest percentage rate on the total amount; this is because people who have raised more in this way are deemed a lower risk investment. Obviously, it’s pitched as a veritable win-win for both sides of the equation, but it’s not a charity, so for its troubles, Crowdestates takes an assortment of fees (application fee, admin fee and final redemption fee), which Zoglovitch said shouldn’t exceed around £4,000 for most customers looking to secure a home deposit. Alas, if you were about to head over to Crowdestates right now to set up your first project for a home deposit, you’ll have to wait until next year when this facility comes online. Until then, it’s only crowdfunding home renovations. Vieweet, which started life as Virtual View, was another of the cohort looking at the real estate sector for its potential growth and expansion. 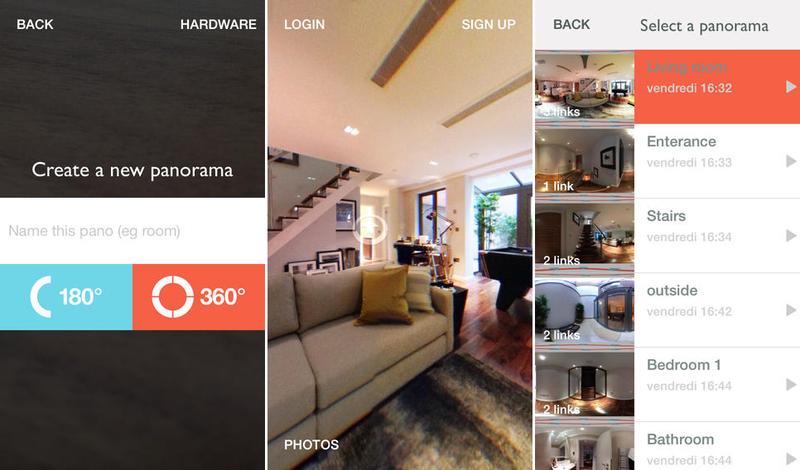 As in its early life, Vieweet allows users, agents, or anyone really, to create interactive house tours using a smartphone or a tablet in just a few minutes and with a cost from about £25 and up, depending on your choice of lens add-on. It’s a bit like trying to bring indoor Street View capabilities to the masses via an additional lens and smartphone app. While tools existed before now, they’re mostly expensive modelling options that aren’t really viable for independent agents or small businesses with comparatively tiny marketing budgets. Different options on the Vieweet platform also allow for full 3D models of your home, as well as interactive tours. Obviously, for potential home buyers, being able to refamiliarize yourself with a property you’ve already viewed (or perhaps are yet to visit) could be an invaluable service that saves time and helps you make better decisions about which home to buy. And as one of life’s biggest expenditures, it’s a decision you want to get right. Salvatore Ruocco, CEO of the company, explained that while this consumer-facing, augmented reality software is all very impressive, it was actually the CRM side of the system that received most attention in building. As a result, Vieweet should be able to integrate with real-estate agents’ existing systems around the world with a minimum of fuss. To date, the company raised around $500, 000 in a seed round last year and is looking to raise an (undisclosed) new round of capital from VCs now. While it might be pretty much unheard of at the moment, Ruocco said that much of Vieweet’s UK-business is now in place (if not yet announced) and so it will soon be focusing its efforts in new markets; discussions are taking place in 18 different countries. Aire is one of the companies among the 11 that has actually been knocking around for about three years in some form or another. Initially put on the back-burner while focusing on other projects, its cofounder Aneesh Varma started to pay it some real time and attention about nine months ago, he explained to TNW. In a nutshell, it’s for people who have no formal credit score, which as a result leaves them locked out of financial systems and unable to do things as simple as opening a bank account or getting a mobile phone contract. This might not sound like a common situation in the UK (and it isn’t really which is why Aire’s focus is on developing and “quasi-developed” markets, Varma explained) but globally, 75 percent of people have no formal score. So, it works with consumers to build a new set of factors to determine creditworthiness and an overall score. It then checks in real-time to verify this information as best it can, and if successful can allow users to carry on and carry out things like a loan application directly from its platform. Of course, the concern with a self-reporting tool is that people could well just lie about certain aspects of their life to try and get a loan, for example. So, I could say I was an exectutive at Coca Cola and it would accept that, then check it against LinkedIn, for example. Of course, I could also change my LinkedIn profile to say I worked at Coca Cola too – but without the network of common connections that would be expected to be associated with that position, the check would fail. Varma said that while there will always be a few people who have less than honorable intentions, that doesn’t seem a good reason to hold back a system that could potentially help users locked out of the financial system and that user’s data will never, ever be sold. Squirrel is a company coming at FinTech from an interesting angle – essentially, it works with businesses to allow (usually low-wage) employees to use its platform in order to better help them make ends meet each month. Emanuel Andjelic, one of the company’s cofounders explained that the B2B2C model allows it to reach consumers in a way that people can trust – directly through their employer. While it doesn’t result in any extra cash flowing from employers to employees, it’s designed to help people budget a little better for all sorts of things – a dream vacation, that jacket you fell in love with last month or perhaps just an unexpected dental or car repair bill – and therefore cut down on the need for massively inflated payday loan or overdraft fees just to get through the month. The benefit for the employer is a less stressed and more productive employee. All for £10 per employee, per month. It works by taking payment from your employer on the user’s behalf, and then safeguarding the amount of money each person needs for rent/mortgage payments, bills and life’s other expenses. That amount remains with Squirrel temporarily and the rest of each month’s disposable balance can then be checked into your regular account in one go, or broken down so that you get a set amount each week. Andjelic said that in the future, there’s the potential for making direct mortgage payments on user’s behalf too. In a way, it’s a combination of several different services already out there – when you first sign up, it’ll take you through a financial health check which includes ensuring that you’re getting the best tariffs available on a range of services and then there are budgeting elements which smack a little of something like Money Dashboard or BillGuard. Ultimately though, it’s not really like either of these – it’s payroll linked, so if you need an advance (up to 3 times per year) to get you through the month, that should be no problem either, and unlike a payday loan, an advance from your employer won’t show up on your credit score. Gust is another company focusing on making paying for things (and entry) at arenas and other venues a whole lot easier. Quite simply, by using a combined NFC wristband and app, it aims to cut down on queue times and therefore increase overall enjoyment for venue goers – think people that hold season tickets to sporting events returning to the same venue time after time, as well as single-time users. Gust explained that it decided to use NFC technology for its wristband rather than any sort of low-energy Bluetooth ‘beacon’ tech as it never wanted users to have to remember to charge a device. Forget to take yours to the venue, or lost it? No problem, just pick up another $1 band, link it to your account and away you go. For venue owners, users can also link their social IDs to accounts, providing an invaluable source of data for future marketing. While it’s focused on big venues right now – it’s done about 30 events with a total of about 10,000 users – Gust ultimately wants to expand into shops and other places (public transport, perhaps?) to become a one-stop shop for payments and ticketing. For users, it’s completely free. For its customers, Gust charges a one-off fee, a licencing fee for the technology and a transactional fee based on volume. With so much focus on NFC and mobile payments right now, it’ll certainly have its work cut-out if it wants to become a big player in the space.